Thousands of Tourists visiting Kashmir are also making their way to Kargil these days. Tourists brushing aside their fear of gunshots and bloodshed at the border have actually started responding to the beauties of nature that surround the land of Kargil. If you have plans to go on a Kargil tour, the Kargil tourism guide below might be of great help. So read on. Kashmir is popular among tourists for its scenic locations and Kargil is no different. It is located in the region of Ladakh and is the 2nd largest town over there. Kargil lies on the boundary in the border that joins Pakistan. The location of Kargil is in sync with its name as it is sandwiched at the intersection point of two countries. There are many locales in Kargil that could tempt the tourists. 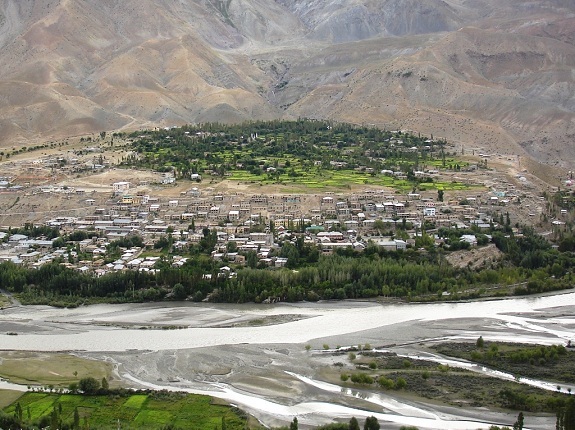 Most of the best tourist spots in Kargil are at Mulbek which is located at a distance of about 45 km from the Wakha river banks. The main attraction of this place is the Buddhist monuments that are plenty in number. An ancient sculpture of Buddha Maitreya composed of stone can be seen on the highway Mulbek Chamba. It has a height of 9 meters. The Wakha River Valley consists of a number of cave monasteries as well as Buddhist nunneries. Kargil is a place to halt for tourists travelling to the Kashmir Valley as it is the Eastern Gateway of the Valley. Not only are the locations here scenic but also big fun for people on the lookout for adventure trips. Loads of adventure activities are available here such as trekking and mountaineering. The spirituality of Kargil is another aspect that is welcoming for tourists. There are lots of places belonging to both historical as well religious categories that are blissful. The literal meaning of the word ‘Kargil’ implies ‘A place between kingdoms’. Kargil has several hotels of various ranges depending on the comfort levels that you wish for and the budget that you have in your mind. There are deluxe hotels of different star-rating as well as small hotels available. Some of the popular hotels available there are Hotel Siachen, Caravan Sarai Hotel and D’zojila hotel are the deluxe hotels. All the hotels available here are of high comfort levels be it of any budget or star rating. You can have a comfortable stay with the choices of local and foreign cuisines at these hotels. The routes from Srinagar to Leh are open from May to October every year. It is a distance of about 440 kms. You can get there through buses, taxis or even motorbikes. Buses: You can opt for Government buses as well as private bus operators to reach Leh. It takes about 2 days to complete the journey with the night stop at Kargil. Taxis: You can book taxis that too in different ways – solo taxi or shared depending on your comfort levels and budget. Motorbikes: If you are into biking, then you can opt for renting motorbikes preferably from Delhi. The route from Srinagar to Sonamarg is filled with majestic vistas that Kashmir is famous for. The ride is pretty much safe considering the presence of a heavy batter of army soldiers at frequent points. Sonamarg is a beautiful place and a stoppage in between allows you to enjoy the scenery of the place for a short while before resumption. From there you shall have to take the route to Drass and the this road isn’t in great condition due to the rains which makes it slushy. On the way through to the summit of the pass, tourists will have to undergo the registration process to travel further to Drass. From Drass, you shall have to go through a straight route that takes you to Kargil within an hour. On the way to Kargil, you shall witness the memorials built as a tribute to the brave soldiers of the 1999 Kargil War. You can easily find accommodation on arrival at Kargil as it is a main pit stop for travelers going to Leh. Hemis festival is celebrated in June-July as a tribute to Guru Padmasambhava. Dosmoche festival comes in the month of February and is celebrated with great amount of passion. 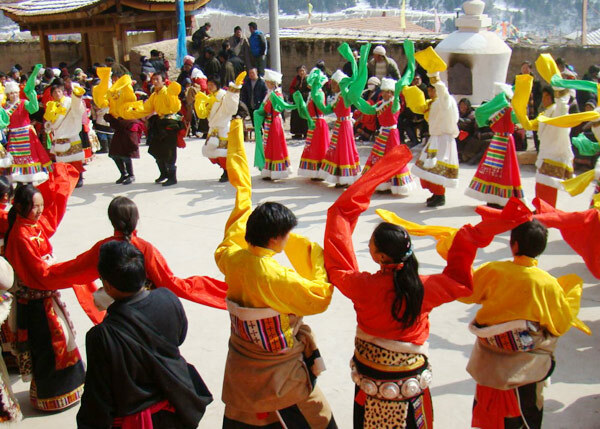 Losar festival comes in the December-January phase and is celebrated by the Ladakhi Buddhists. Pashkum: This is situated on the Leh road at a distance of about 15 km. There are many ruins of lovely ancient castles that give a glimpse of the history of the place. Mulbek: Another nice spot to visit which is located on the Kargil-Leh road about 42 km away from Kargil. It is a Buddhist village and the prime attraction here is the Mulbek Chamba which contains a huge rock sculpture belonging to the 7th This is said to be of the Maitreya (Future Buddha) and also has a lovely monastery consisting of decorated walls with statues. Shargole: Another beautiful village that is located on the Kargin-Leh road at a distance of about 35 km to the right side. Here again a monastery is the key attraction containing nice interiors and statues. It offers a scenic view as it is situated at a nice altitude above a cliff. Both Mulbek and Shargole have proper transport facilities to Kargil making your trips comfortable. Fokar Urgiyan Rzong: This is located near Shargole about 8 km further up streams. A natural fortress is located in front of Fokar Urgiyan Rzong and the place is most famous for its cave monastery. This place used to be the favorite area of meditation for Guru Padmasambhava. His hand prints along with some statues can be seen here. Rgyal Wakha: This is yet another village which is a bit far from Mulbek. From a distance, you would think that it is a beehive as it is almost hidden on a cliff that is vertical. You can get some incredible scenic views from here. Overall, Kargil is a place that you must visit at least once in your lifetime. The place might be more known for the wrong reasons but there is a beautiful side to the place that you shouldn’t miss. It is a pleasing experience which you would surely remember for the rest of your lives.